Today we begin our look at the Hawaiian Railway Society grounds and train ride. It is the only active railroad on the island of Oahu and located in Ewa Beach. 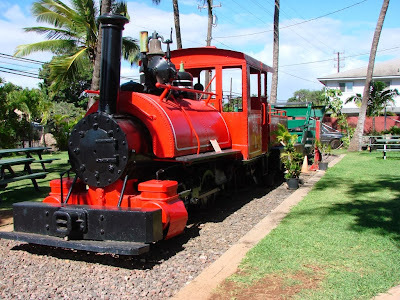 We begin with Ewa 1 which is a 1890S Baldwin steam locomotive used on the Ewa Sugar Plantation. It was powered by oil (not coal or wood). Sugar trains were used from the 1870s through World War II. The sugar stalks had to get to the mill within 72 hours of harvest and these trains made that possible and powered the sugar cane industry. The 2013 Aloha Festival draws to a close with the floral parade on Saturday, September 28, 2013 at 9am. It starts at Ala Moana Park and runs along Kalakaua Avenue to Kapiolani Park. This free event will have equestrian riders, hula halau, marching bands and extravagant floral floats. 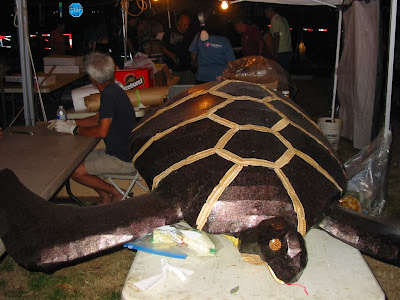 I was lucky enough to get a sneak preview of the Hawaiian Airlines float the above photo is their turtle which is covered with seaweed and the lines are drawn with bean pods. All parts of the float must be organic so they have to be creative. Below shows the whale tale. 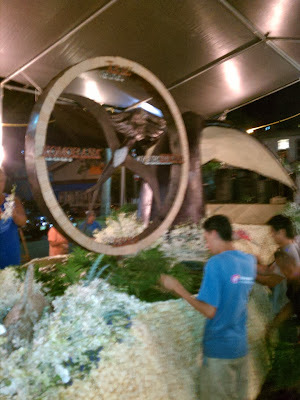 Of course that all you’ll get to see the whole float and a bunch of others check out the 2013 Aloha Festival Parade. If you can’t make it there is will also air on Olelo chanel 53 or stream live at Channel808. In honor of Larry Ellison and Team Oracle incredible comeback to win the America’s Cup I choose this sailing picture as the photo fo the day. 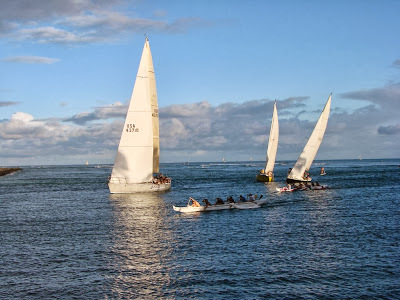 Its always nice to watch the sailboats go in and out of the harbor just off of Ala Moana Regional Park. These are a far cry from the high tech carbon-fiber foiling catamarans that raced in the America’s Cup. Team Oracle spent billions of dollars then had to come behind and win 9 races in a row to win the cup from challenger Team New Zealand. One can only hope that the defense of the cup will be in Hawaiian waters. After all Larry Ellision said he liked San Diego since he had a house there… well he practically has an entire island here.